If you haven’t heard already, the amazing make-up brand – Lime Crime is now available on Feelunique! 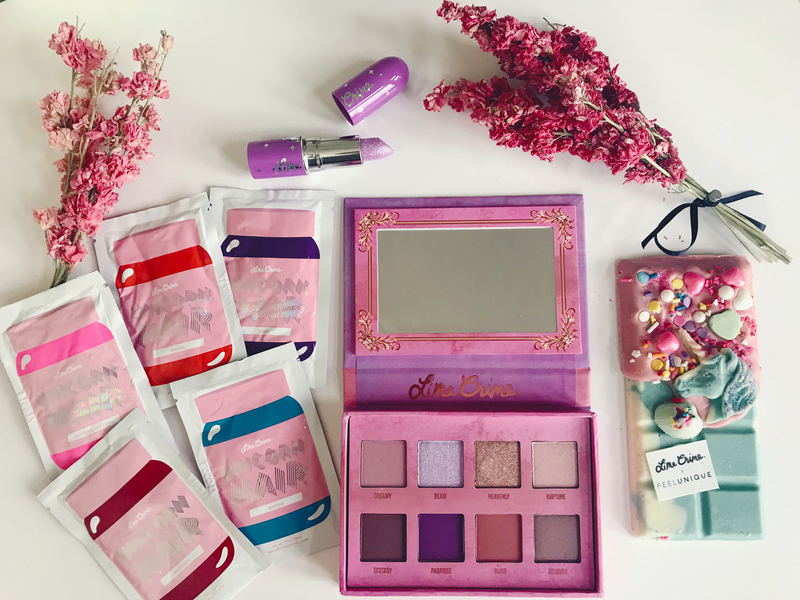 If I could associate one make-up brand with a colourful unicorn, it would definitely be Lime Crime. 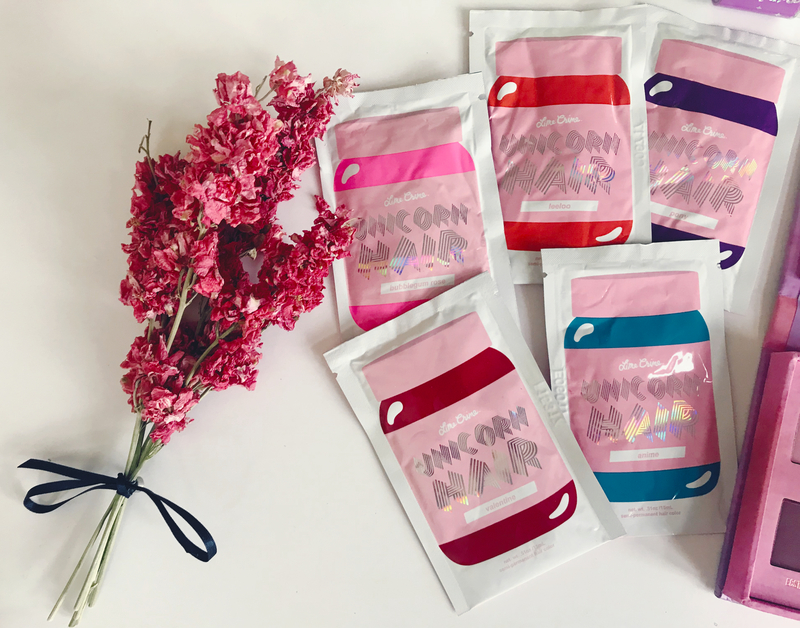 The make-up is super colourful, including beautiful glittery eyeshadows, lipsticks, lip toppers and many other exciting products. 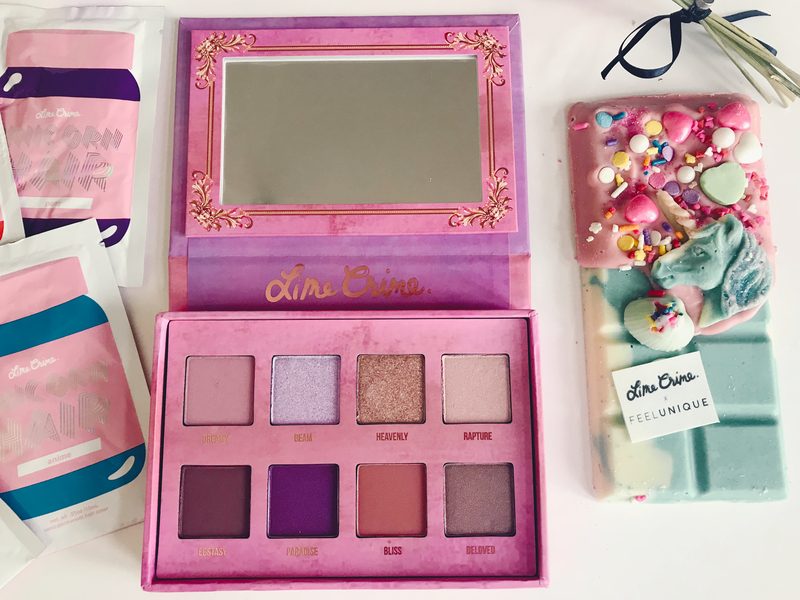 You can choose from over 15 wonderful products, which include the Venus III palette as well as Feelunique exclusive Unicorn Lipstick in Glittercity. Let’s all pause for a moment and admire the heavenly packaging of the palette! I am a huge fan of glitter eyeshadows so this palette is one that I will be using very often. The palette includes a variety of pinks, purples, rose golds and matte mauves. They are very pigmented, and long lasting so you can safely wear them to work, or on a night out. This palette is definitely one of my current make-up favourites, I cannot wait to wear it throughout the summer. Available from Feelunique for £34. 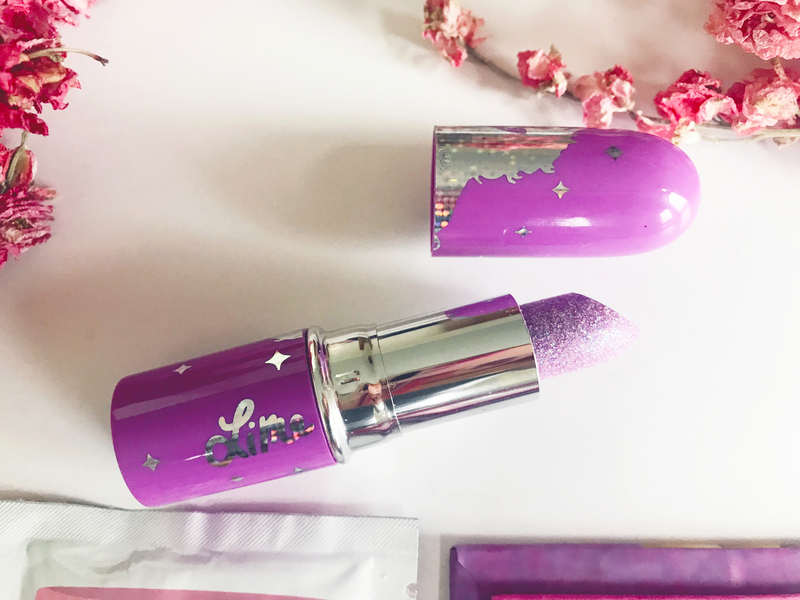 Ok, if there is any glitter lipstick you should get, it is this one. It looks amazing on (refer to the swatches – 1st one), it is long lasting and quite moisturising. Plus the packaging is extra cute and dreamy. A summer must-have! Available from Feelunique for £15. 3.Who said coloured hair is only for festivals?